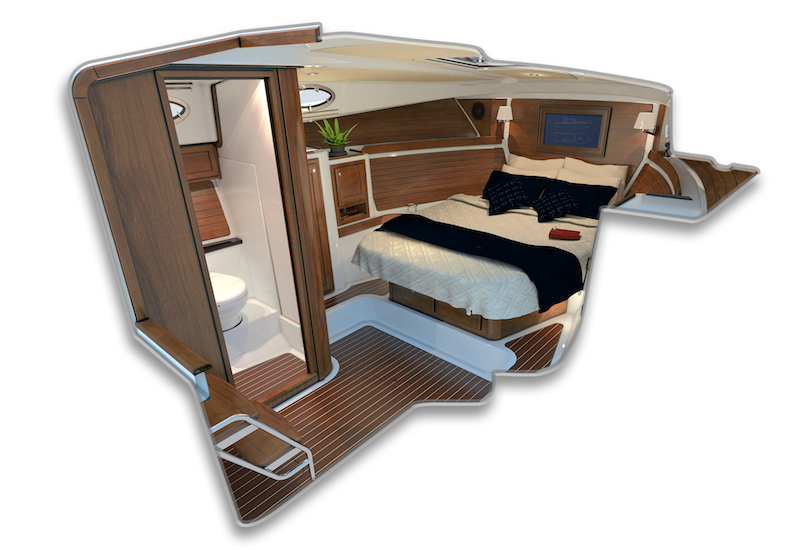 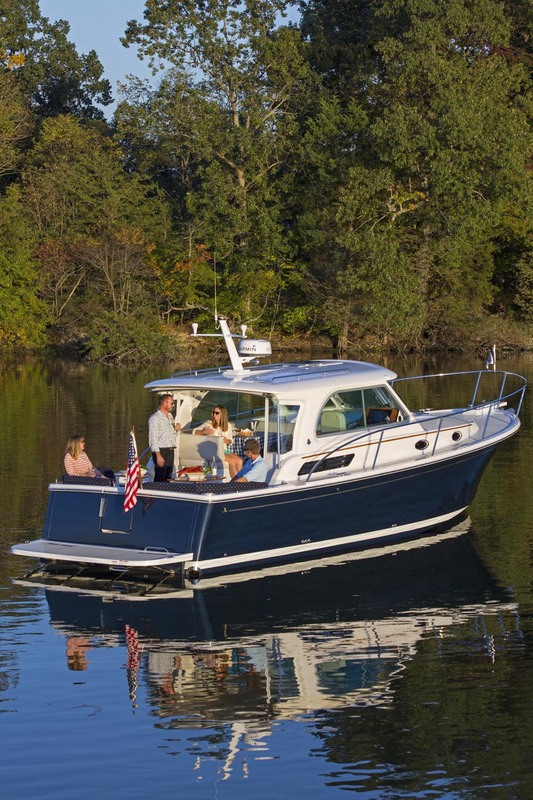 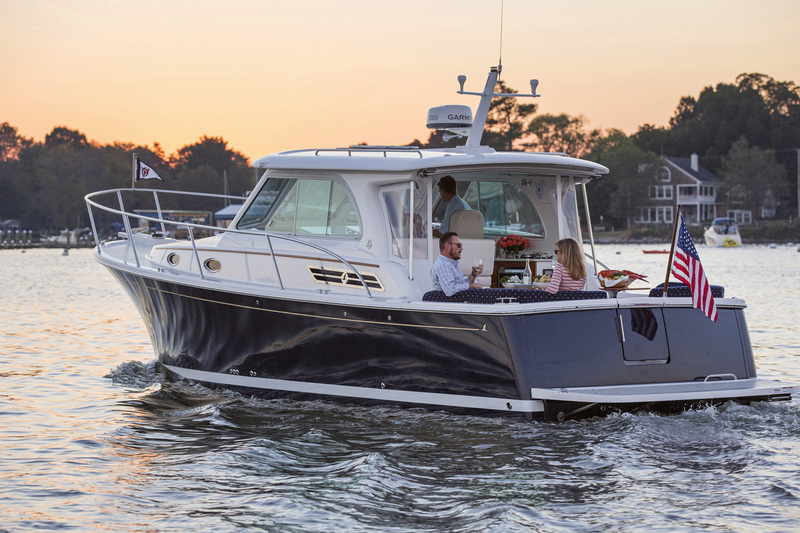 Launched in the fall of 2016, the Back Cove 32 is an amalgam of cutting-edge design and customer-preferred features. 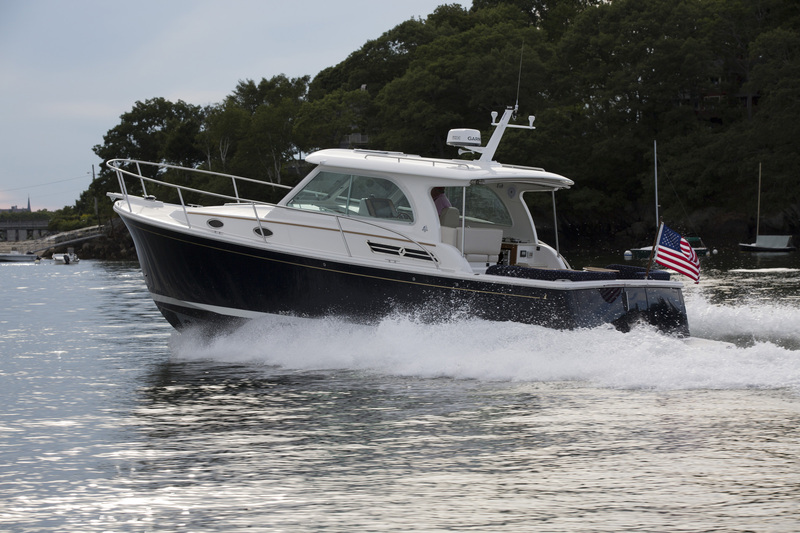 She offers the same concepts that built the success of the range: Extraordinary fuel efficiency from her single diesel engine, straight forward systems, and classic good looks. 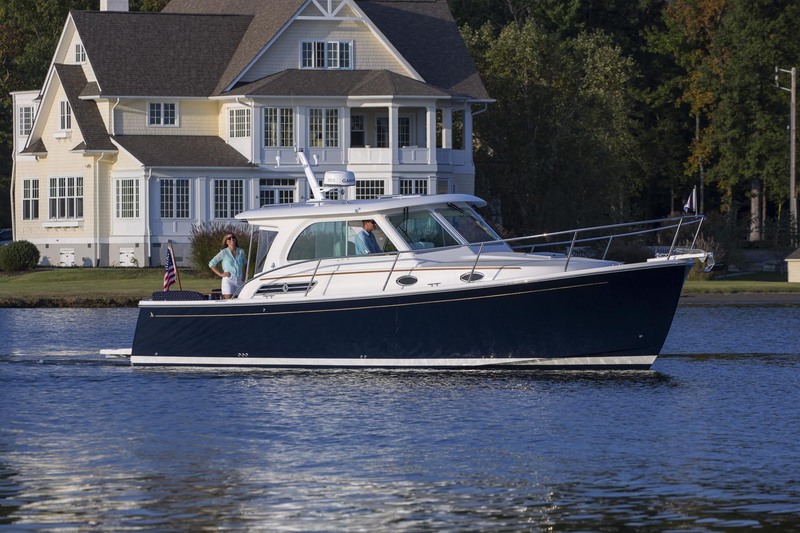 Pair this with her expert construction and nautically sensible design features, and the Back Cove 32 is the gem of any harbor she enters. 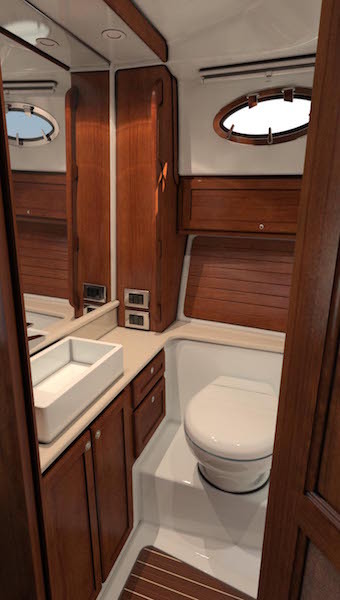 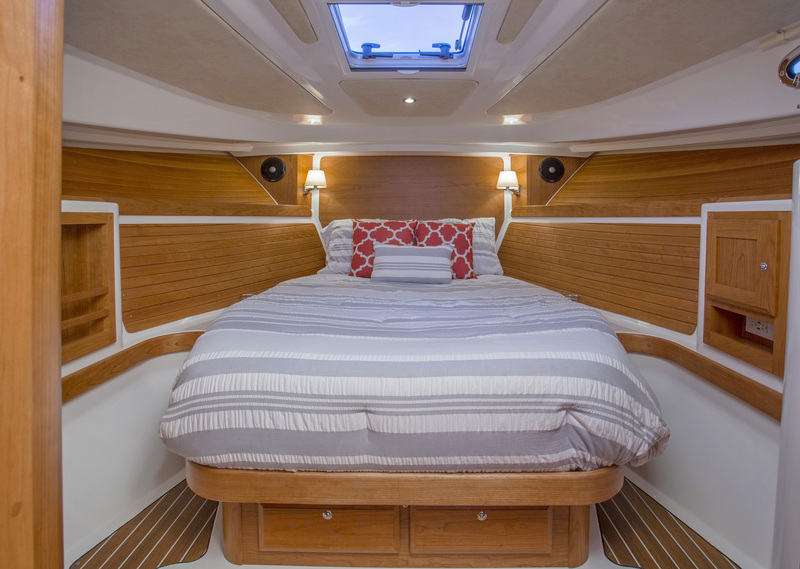 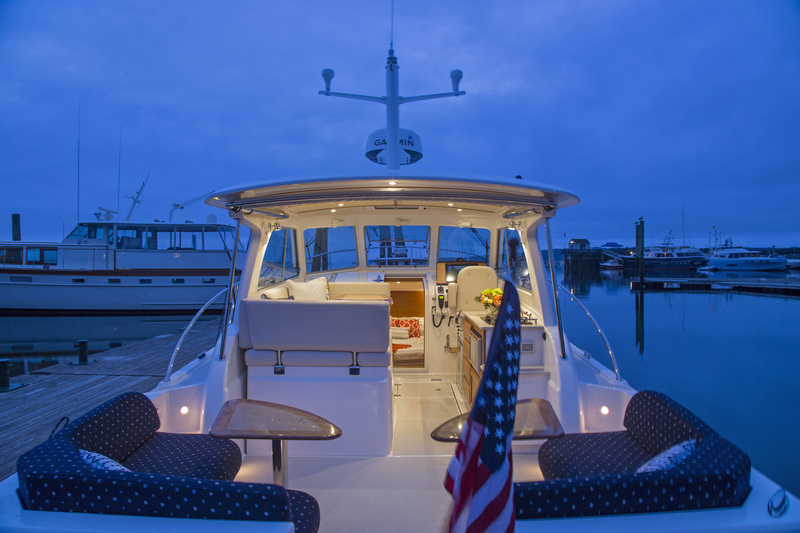 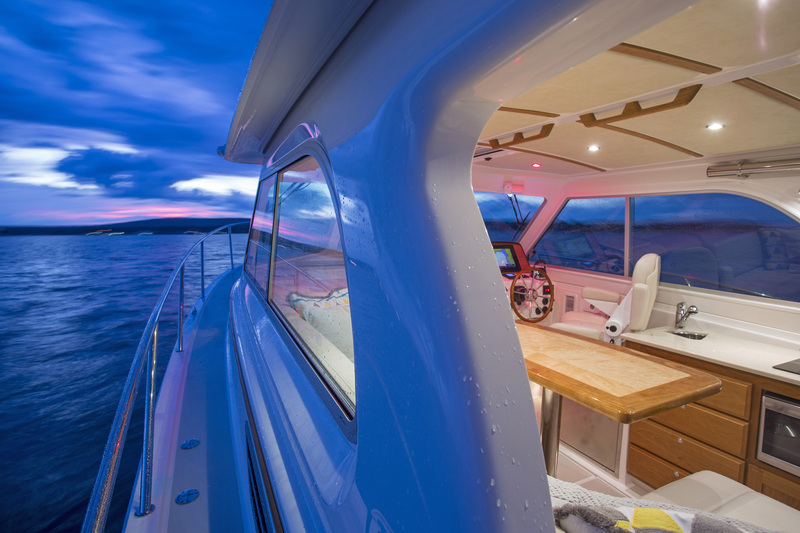 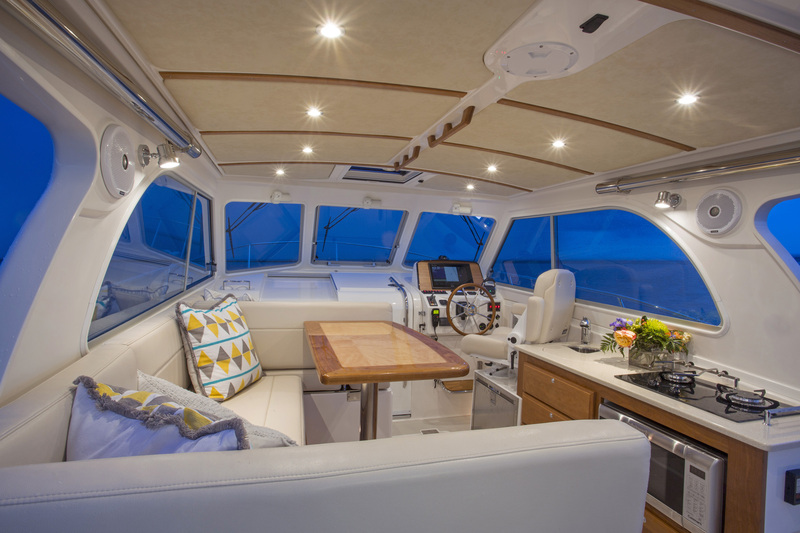 Her single-level deck from transom to companionway bring the social spaces of the cockpit and pilothouse into one, offering a beautiful and seamless transition between indoors and out. 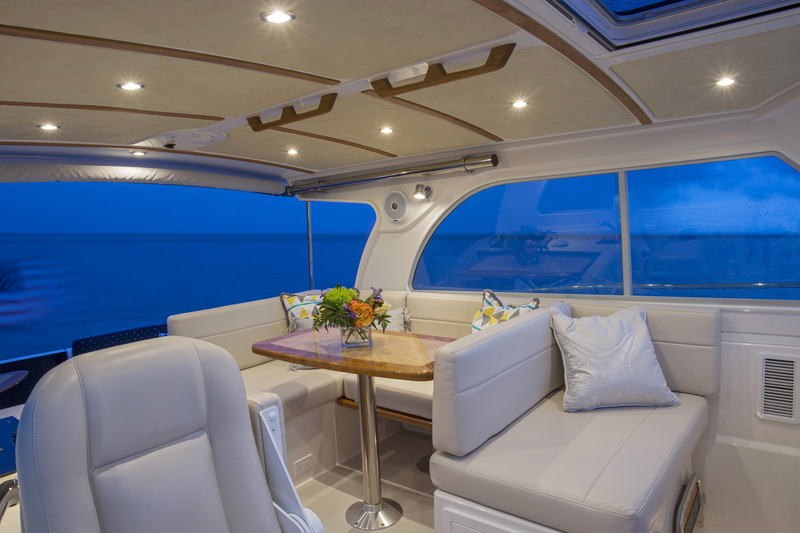 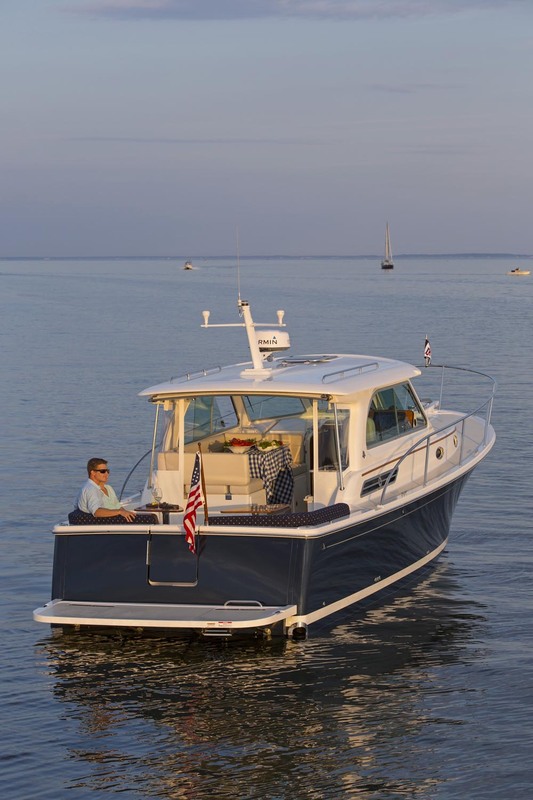 A galley-up design opposite a versatile settee and open sightlines all the way around the boat make the upper level of the Back Cove 32 ideal for entertaining or relaxing. 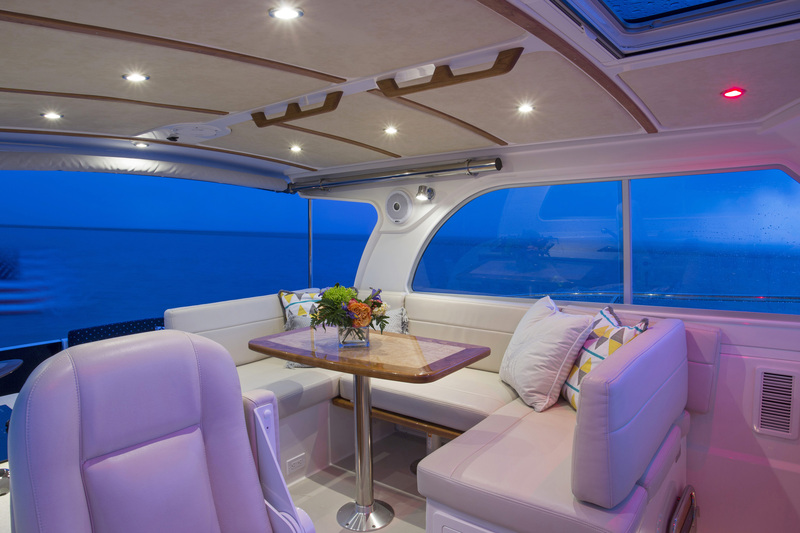 Below, the cruising couple can enjoy a secluded oasis all their own. 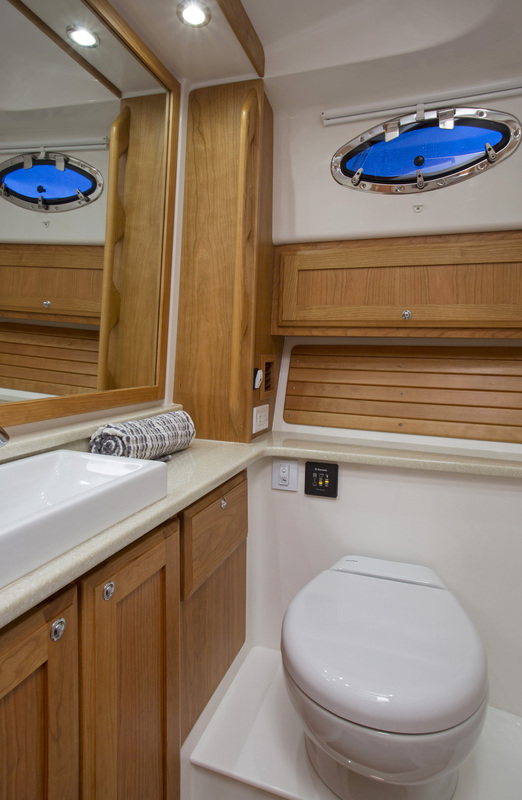 Featuring a spacious island berth and split head and shower units, her practical and elegant details offer unprecedented comfort when spending time on board. 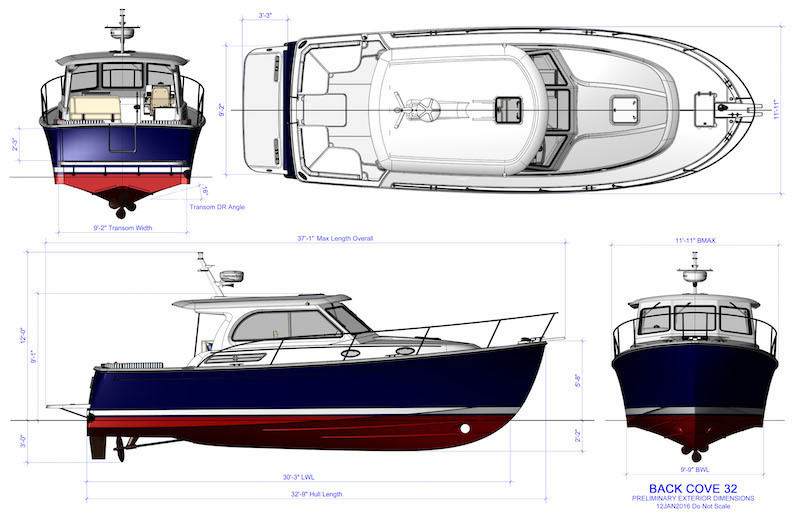 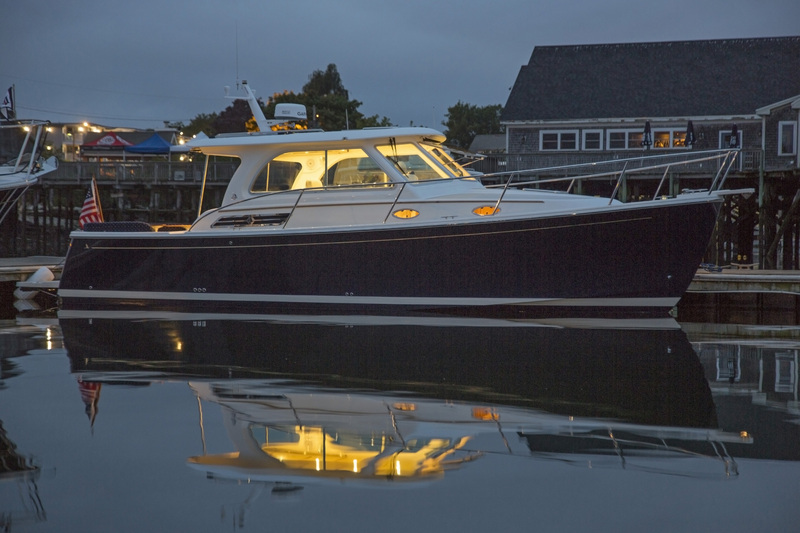 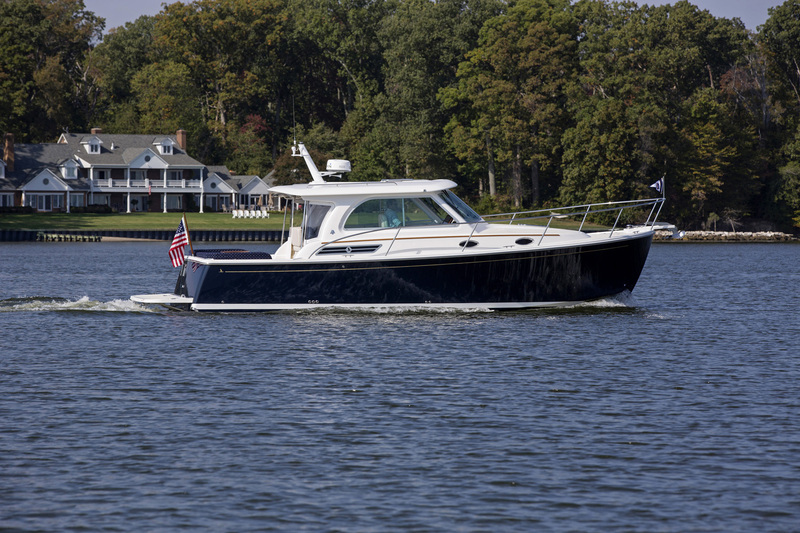 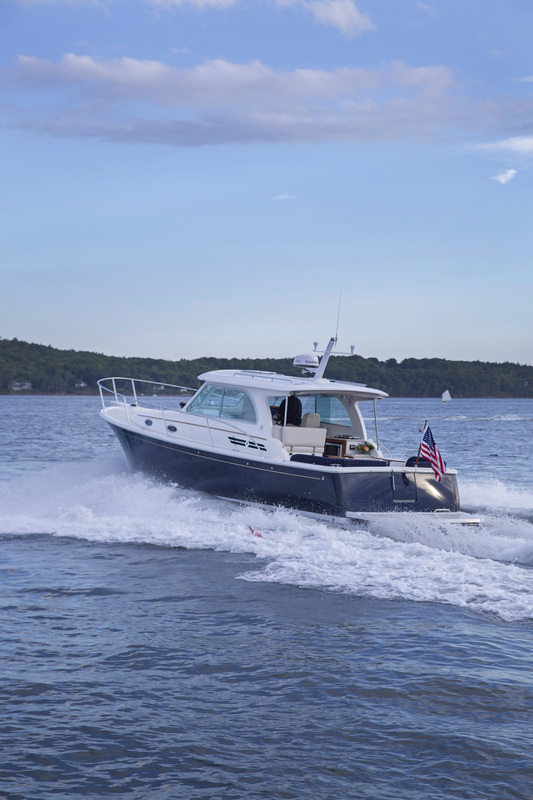 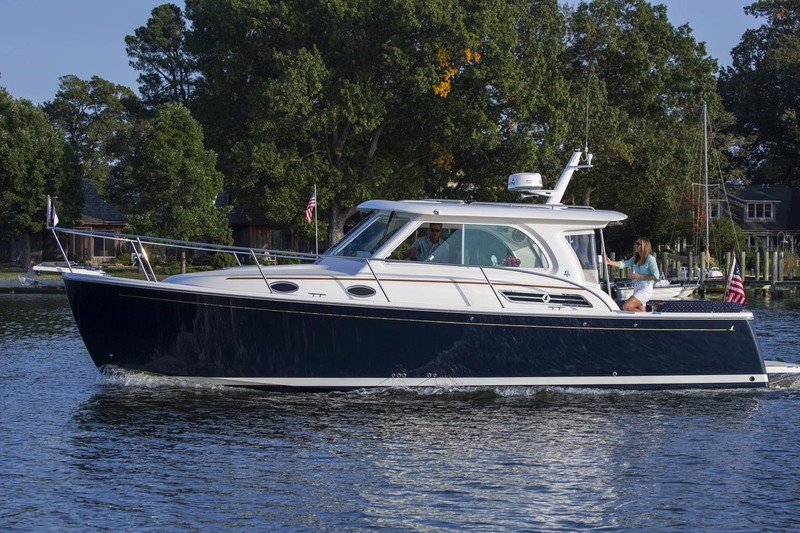 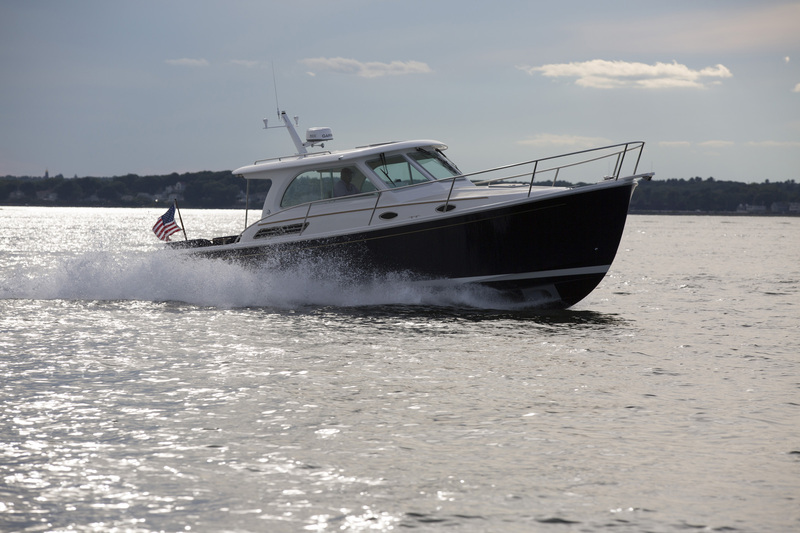 The Back Cove 32 was awarded Best New Powerboat Under 35′ in the 2016 New For Newport competition.